Granny Storm Crow's List – If The Truth Won't Do, Then Something Is Wrong! Well, we are still waiting for Trump to make good on his words- “Marijuana is such a big thing. I think medical should happen — right? Don’t we agree? I think so. And then I really believe we should leave it up to the states”. * Was that just another meaningless “campaign promise”? When will our federal government bow to reality and the will of the people, and de-schedule cannabis? An effective herbal medicine that is safer to use than common aspirin has no business being a Schedule I drug! And we all know cannabis is a far safer intoxicant to use than alcohol. Just why are medicines that can cause “suicidal thoughts or actions” perfectly fine to prescribe, while a simple herb that lifts your mood is strictly forbidden by federal law? Why are synthetic forms of THC (Marinol, Syndros, and Cesamet) considered as legitimate medicines that can be prescribed, yet THC, when extracted from a plant, is Schedule I – having no medical uses? Our government’s Compassionate Investigational New Drug Program has been in existence since the mid-1970’s. Every single month, the aging patients in the program have received 300 pre-rolled, government-issued “marijuana cigarettes” to be used for medical purposes. If cannabis has no medical uses, why has our government continued to provide medical marijuana for those patients for decades? Over at PubMed (a .gov site), studies detailing the varied medical uses of cannabis and the cannabinoids are being published at an increasingly rapid rate. Yet our government stubbornly clings to its out-dated claims that cannabis has NO medical uses. This List of studies and news articles is my protest to our government’s prohibition of all forms of cannabis. It is my hope that you will share my List and its information with others. Once the facts about cannabis become known, the need for full federal legalization becomes obvious! In 1938, hemp was called “The Billion Dollar Crop”. ** To put that into perspective, in 1938 you could get a brand new luxury car, a Chrysler Royal Brougham, for all of $975. So how much do you think the industrial hemp market would be worth today? And that amount is bolstered by the many new and remarkable uses for hemp that have been created during the last 80 years. Well, Obama is history, and gone with him any hope of a last-minute legalization. With the new president, all we can do is wait and see what happens. There may be some hope for legal medical use with Trump. “Marijuana is such a big thing. I think medical should happen — right? Don’t we agree? I think so. And then I really believe we should leave it up to the states”*. I’m just sitting here looking at my 5 little clones on the window sill, hoping that legalization actually will be left up to the states, so everyone can share the freedom that I have. As of today, over half of the states (28) have legalized some form of medical use, while 8 states, and interestingly, Washington DC, have legalized both medical and adult recreational use. Eventually, our federal government must bow to reality, and the will of the people, and deschedule Cannabis. If it does not, it will be guilty of ignoring the voice of a clear majority of its citizens, as well as the medical facts. So just how “free” are we, when the government can decree that we are not permitted to grow a safe and effective medicinal herb in our own backyards and homes? The laws prohibiting Cannabis are certainly not due to any concerns over “public safety”, since we are perfectly free to grow ornamental plants that can kill, such as oleander, foxglove and castor bean plants. Whether you approve of our new president and his actions, or not, becoming more politically, socially, and environmentally conscious, and more active on a local level, seems an appropriate reaction to his presidency. Reach out to others of a like mind. Without my friends helping me, this List would reach far fewer of you (hugs to “Old Hippie of the “Beyond Chronic” blog for much-needed technical assistance, and Anne Marie for creating the Facebook page). From getting that annoying pothole fixed, to ending human trafficking, there are more than enough things on this earth that need fixing. Find your “good cause” and help heal the world. In the news today, the DEA has loosened up their restrictions on Cannabis research slightly, while keeping it as a tightly controlled Schedule 1 drug – having no currently accepted medical use in the United States, a lack of accepted safety for use under medical supervision, and a high potential for abuse. Meanwhile, here in the real world, over 33 million American citizens (1 in every 8 adults) admit to currently using Cannabis. Several polls show about 55% of voters support full legalization of Cannabis, with an overwhelming 89% calling for medical legalization. A recent video shows the President’s eldest daughter sneaking a quick puff on a joint – just like countless numbers of ordinary high school graduates have done at concerts since the 1960’s. At least five more states will vote on legal recreational use this November. Illegal or not, Cannabis use is a part of our American culture. We now have 25 states and Washington DC that accept medical Cannabis. Another 16 states have “CBD only” laws. That makes 41 states that have recognized that Cannabis and its individual phytocannabinoids do have medical uses. This fall, the public will vote to add even more states to that total. Yet the DEA insists that having 41 states recognizing the medical use of Cannabis does not constitute “accepted medical use in the United States”! Malia Obama has had her puff and will face no serious consequences from it (beyond what her parents will do to her). She will still attend Harvard as planned, but that is not the case for many other students! Our government “robs” thousands of our young adults of a brighter future by denying them student loans and grants, because they, like the President’s daughter, had a puff and got caught at it. How many bright young minds have we lost to this destructive policy? The United States continues to hold the shameful distinction of having the largest percentage of its citizens in prisons and jails. With the DEA clinging to this irrational classification of Cannabis, over 33 million otherwise law-abiding American adults remain criminals! In 2010, Harvard economist, Jeffrey Miron, did a study that indicated our government would save over $20 billion each year with Cannabis legalization. Confirming these monetary benefits, Colorado is experiencing an astonishing financial boom with full legalization. It’s a cold, foggy day here in northern California, and here I am again, sitting at my computer, figuring out what to say to all of you. Most of the time, the words I need come so easily to me, but not today! I’ve got a good case of writer’s block, but there are a few things I know I need to mention. Lately, Cannabis has become a very hot topic, both in the news and the world of science. It is getting harder to keep up with all of the new information. Yet, it’s still joy-filled work for me and I get to learn so much. I don’t see me stopping doing this. One major change in the List, all of the recent news articles are now separate from the studies. Between all the news articles and studies, the 2010-2016 “Conditions” section was just getting too darn big – over 1,600 pages of links! I think being able to read the information as news will speed learning for the beginners. And those of you who are “into” the studies, you won’t have to wade through all those news articles to “get to the meat”. I am hoping that all of you are registered to vote [US]- several states have either medical, or full legalization coming up later this year. Be sure that personal growing is allowed – otherwise you will be just trading one drug lord for another! The growing and personal use of medicinal herbs should not be a crime! With legalization comes responsibility. 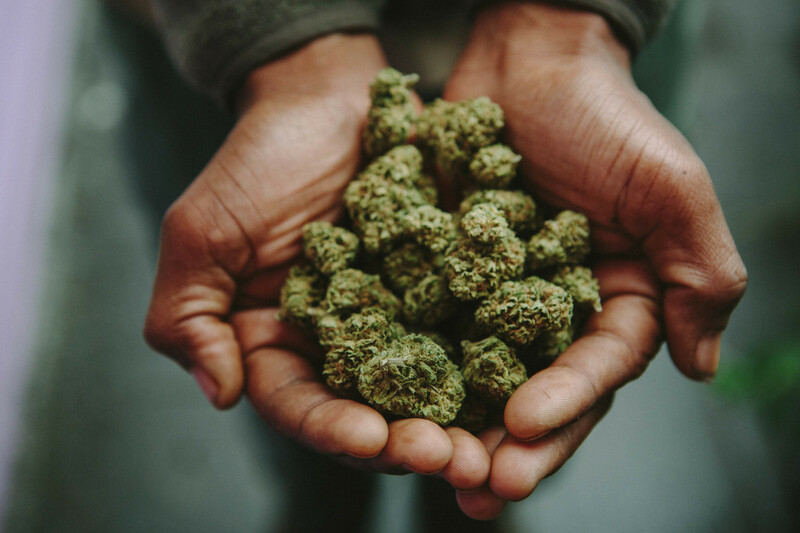 If you grow outdoors near others, try to pick strains with a more pleasant odor such as “Agent Orange”, “C-99”, “Grape Ape” or any good “Lemony” strain. Your home-grown doesn’t need to smell like a road-kill skunk to be good! And consider using a herbal vaporizer if your smoke may drift to another’s home. Vaping is healthier than smoking and easier on your lungs (See “Methods of Use – Vaporizers” in the “Conditions” section). We need to respect those who choose not to use Cannabis, and should ask for only the same level of courtesy in return. My Goodness! How my List has grown over the last few months! And there have been some rather unexpected new “branchings” in the List recently. Acetaminophen, black tea, flax, echinacea, and magnolias? How did they manage to sneak into my list on cannabis, cannabinoids, and the endocannabinoid system? The answer is simple, the plants all contain compounds that interact with receptors in the endocannabinoid system. Science has discovered that cannabinoids are, indeed, made by other plants. So far, none of them cause the same dramatic psychoactive CB1 receptor reaction (the high) as THC. They seem to be mostly limited to the CB2 receptors (no high, just healing). Acetaminophen, on the other hand, is transformed by your body into a compound called AM-404, which blocks the break-down of anandamide, your body’s own version of THC. Just like THC, anandamide makes you “feel good” and decreases pain. Blocking the breakdown of the fragile anandamide by AM-404 results in more anandamide being in your body, relieving your pain. The acetaminophen, itself, does nothing to relieve your pain! As much as I would like it to be, cannabis is not 100% safe – nothing is! There is something you need to understand about the endocannabinoid system – it is a system of checks and balances. The amounts of endocannabinoids vary according to the body’s needs. As an example, during a woman’s ovulation, her anandamide levels spike, then drop drastically for the implantation of the egg. THC during ovulation would have little effect, but just days later, THC might interfere with implantation. Women trying to get pregnant should avoid cannabis. Teens under the age of 16 should not be using cannabis unless there is a medical reason. The adolescent brain undergoes a “rewiring job” and the endocannabinoid system is right in the middle of things. The fear is that THC will cause “misconnections” resulting in subtle personality changes or neurosis. Like alcohol, cannabis should normally be reserved for adults. Likewise, cancer is not just one disease, which is why one treatment does not work on all types of cancer. Most cancers appear to be slowed by THC, but there are a few rare exceptions. When exposed to THC or similar synthetics, A549 lung cancer cells start reproducing, while exposure to CBD slows them down*. The usual “high THC” RSO could be a disaster for a small minority of cancer patients. We need more research, but that can’t happen without legalization! Our government [United States] has lied to us about the effects of cannabis for over seven decades. They have blocked virtually all research into cannabis and how it heals. They have ranked a never fatal herbal medicine with the most deadly kinds of drugs, against all scientific evidence! Yet, somehow, that inconvenient truth keeps coming out – cannabis heals! It is time that we, as a nation, demand that the truth be openly acknowledged and research into this amazing plant begun! As my Grandfather said, “If the truth won’t do, then something is wrong”. #North American English (for the most part) is used across this site, thank you. While I agree in theory, these people should get their pharmacology right. Acetaminophen (paracetamol) is not hydrocodone, and neither is Oxycontin, which is oxycodone. Two completely different drugs. For starters. Also, didn’t mention that paracetamol action is mediated by the endocannabinoid system, therfore a natural cannabis preparation could replace it. Good idea, but very poorly executed. I have nothing against bagging Big Pharma, but at least get your facts right, otherwise there can be no credibility. We don’t have to live in a medicated world, but we certainly choose to. 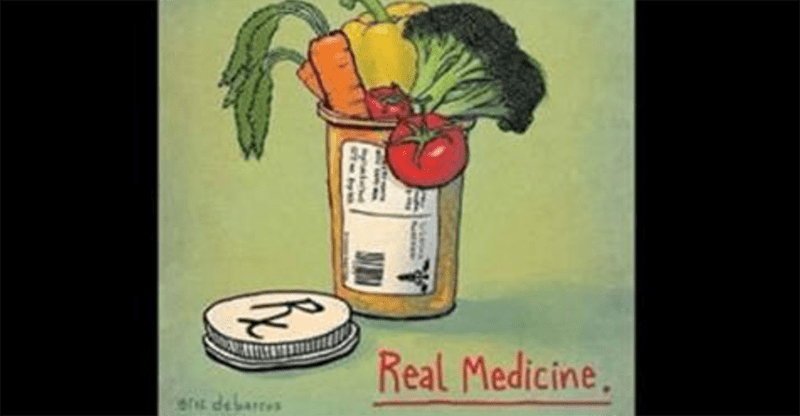 The crux of the matter is that we refuse to proactively think about prevention because we reactively commit to treating the symptoms of underlying health problems. This is the allopathic model. We want the quick fix so we can continue our poor lifestyle and dietary habits. It doesn’t have to be this way, but it is. We can blame doctors, the medical institutions and healthcare systems all we want, but self-responsibility is our only recourse if we are ever to surface from this mess. 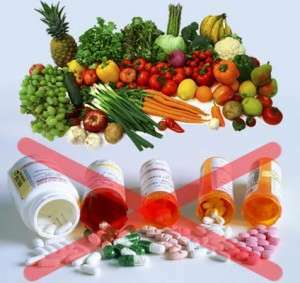 There are no excuses–if you’re taking one of these drugs, consult with a Natural Health Practitioner this week about phasing out your medication and phasing in these powerful natural foods and remedies. Grapefruits, probiotics, broccoli sprouts, manuka honey, mastic gum, marshmallow tea, glutamine, slippery elm, deglycyrrhized liquorice (DGL), aloe vera juice, baking soda, pickle juice. Sunlight (vit D), garlic, coconut oil, turmeric, foods high in nicotinamide (vit B3) such as salmon, sardines and nuts. Also manuka honey, olive leaf extract, green tea, pau D’Arco, rose water, myrrh, grapeseed extract, golden seal, oregon grapes, oregano oil, andrographis paniculata, and probiotics.